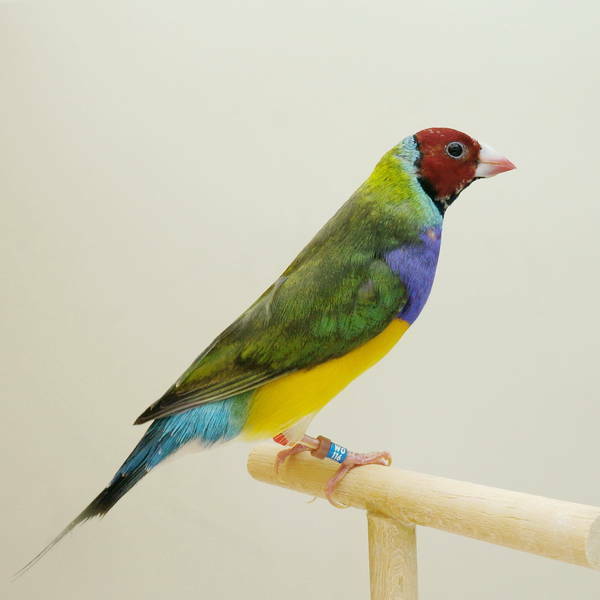 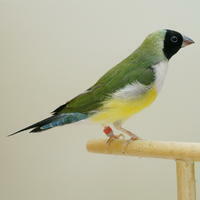 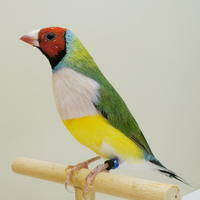 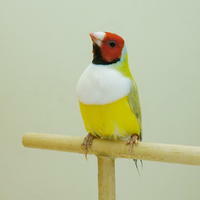 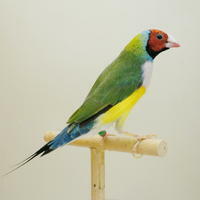 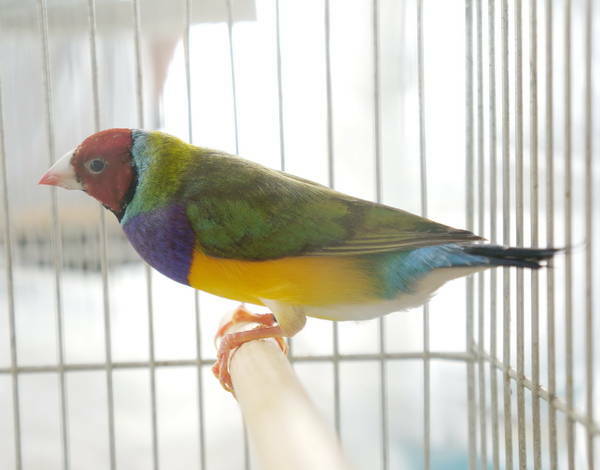 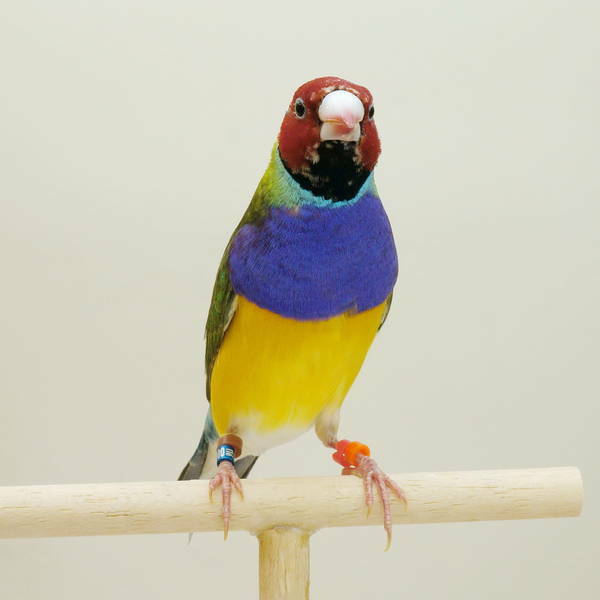 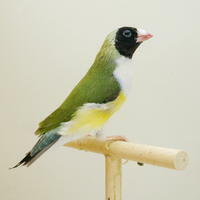 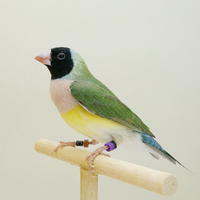 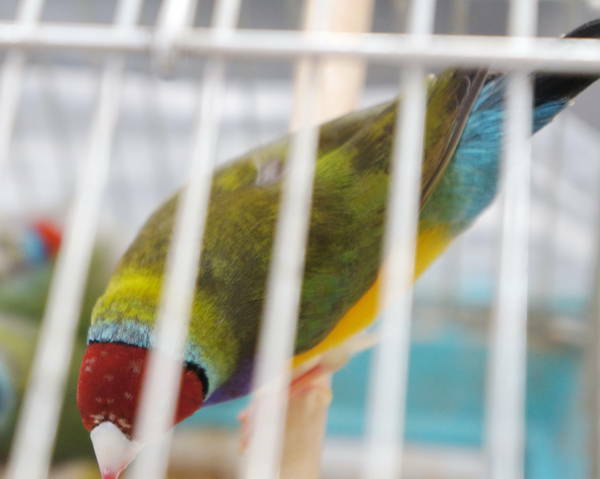 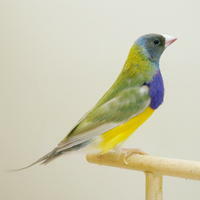 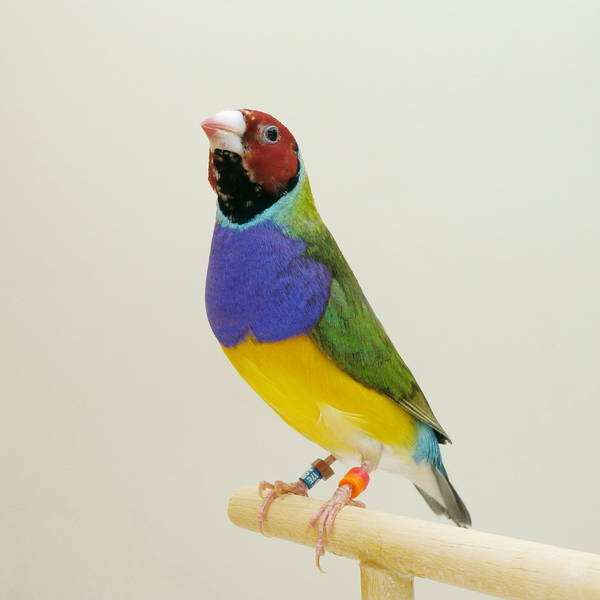 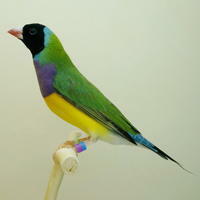 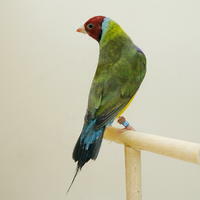 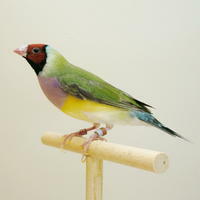 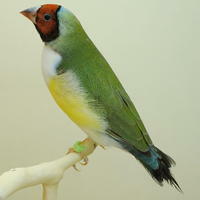 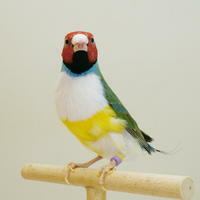 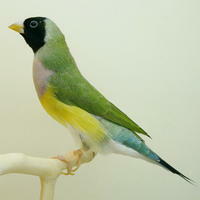 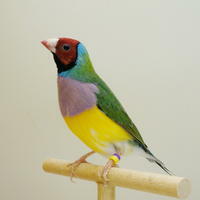 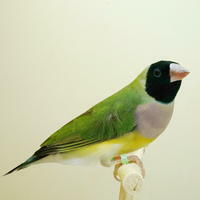 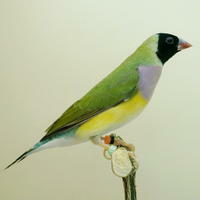 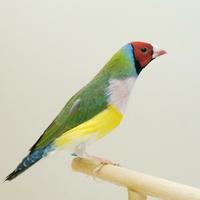 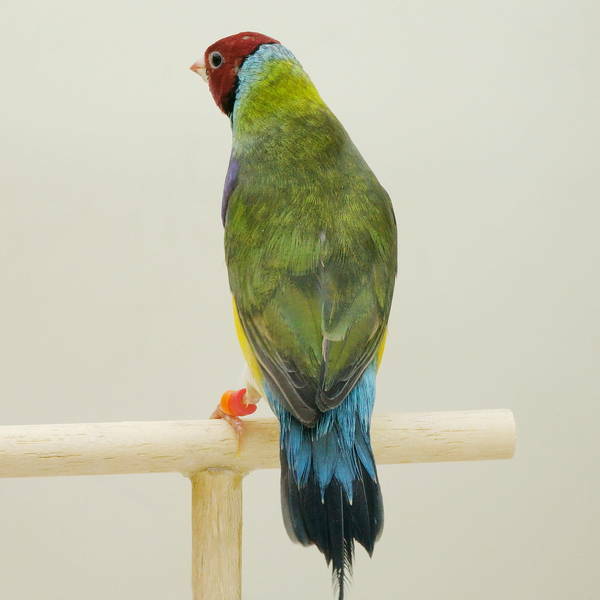 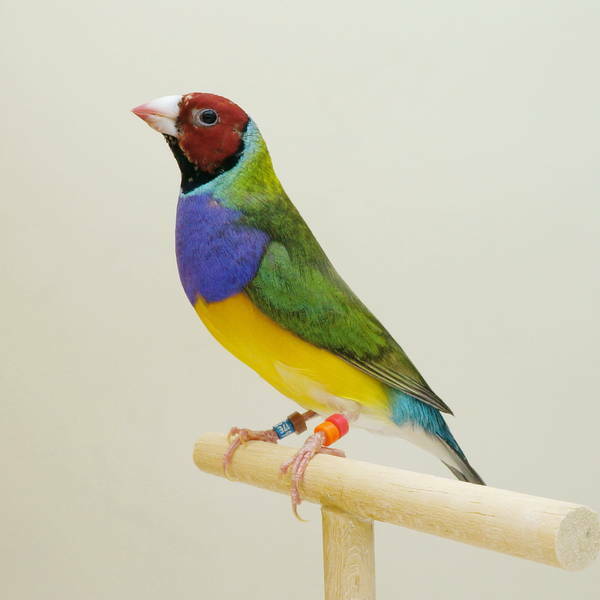 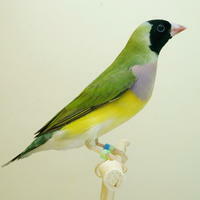 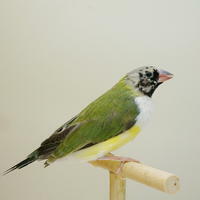 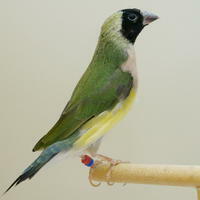 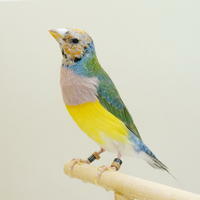 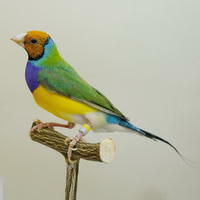 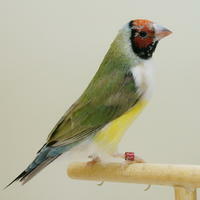 Gouldian Finch コキンチョウ - - "Green Back"
Imported from Europe. 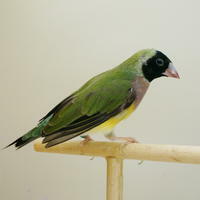 Melanistic? 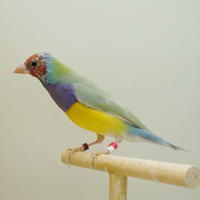 Nutrient deficiency? 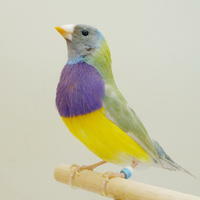 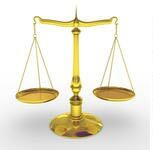 Or a mutation effect? 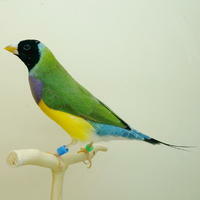 Will need to wait until the next mould for the answer.